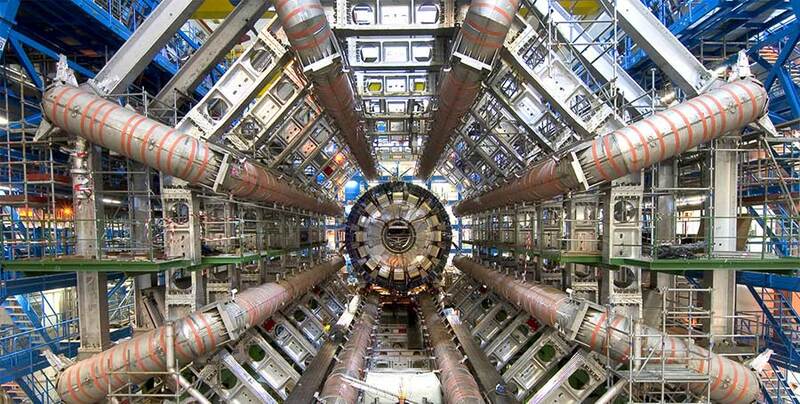 In 2012, CERN, the European Organization for Nuclear Research, called for a debate between scientists, philosophers and theologians to find common ground between science and religion over how the universe began. Even though the explanations found in the texts of the world’s spiritual traditions are admittedly not exhaustive in the details referring to the origin of the universe, they do outline key concepts thereof which are important to the development of the philosophy for spiritual development that they present. The Vedic cosmology of ancient India is incredibly rich and has many points of tangency with modern cosmology which may help in the construction of that common ground between science and religion that CERN is looking for. One of the strongest points of tension that often comes up in cosmology between science and religion is the age of the Universe. Some interpretations of the Bible calculate it to be ~6000 years old, while the most recent calculation according to the Lambda-CDM concordance model is of 13.8 billion years. The Vedic literatures see the manifestation and eventual destruction of the universe, like most events in nature, as a periodic occurrence and give it in trillions of years. In fact, they talk about an expansion of the universe after its inception and an eventual contraction at the end of its lifespan; in line with modern cosmology’s concepts of inflation and/or dark energy. Ideas regarding a cyclic behavior of the universe have also been proposed by prominent physicists like Sir Roger Penrose and Paul Steinhardt. Within the lifespan of the universe, Vedic cosmology also states that there are periodic partial devastations of the universe. The time elapsed since the last one is on the order of billions of years, which roughly corresponds to the age of the universe calculated by cosmologists. 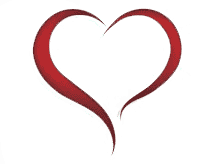 In between the partial devastations, there are time periods called ages. The current age we live in, the Age of Kali, began about 5000 years ago, which is roughly in line with (or equivalent to) the Bible’s estimates of the age of the universe. We can thus begin to see the potentiality of Vedic cosmology in creating a bridge between science and religion: The apparent contradiction regarding the age of the universe can be regarded as simply calculations of different important periods in the history of the universe. Another big point of discussion is the process of creation itself. The process described in the Bible, even though in a sequential order of increasing complexity, seems to involve spontaneous creation by God’s will of objects and beings. That spontaneous creation would be in opposition with the gradual and piece-wise development of suns, planets and life described by astrophysics and evolutionary biology. 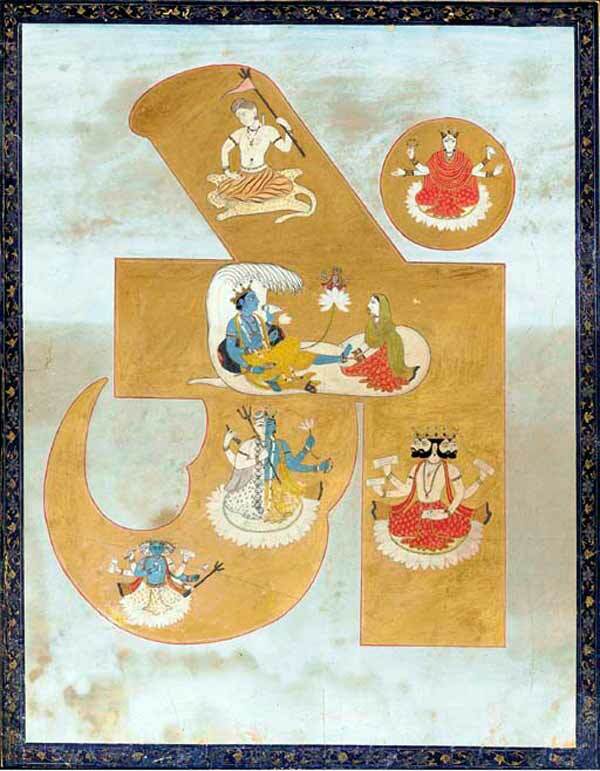 The Vedic literatures also involve spontaneous creation of complex forms, but it includes an interesting gradual development of basic elements with which the complex forms are later created. These basic elements are said to manifest themselves one from the other in a succession going from the subtlest (pradhana) to the grossest (earth/structure). Within the Vedic view, as in the unification theories of particle physics, there is an undifferentiated form of material energy (or field, in modern jargon), called pradhana, that is the source of all other forms of energy. It is interesting to note that one of the intermediate elements in the succession is material space; viewing it not as a background on which everything happens, but as an active substance that can be manipulated and from which grosser elements are derived. This is in line with general relativity, where space is seen as an agent that can be deformed by the presence of mass-energy. Likewise, physicists like John Wheeler, and more recently Christopher Isham, have attempted in the theory of geometrodynamics to define all matter in terms of perturbations in the fabric of space. 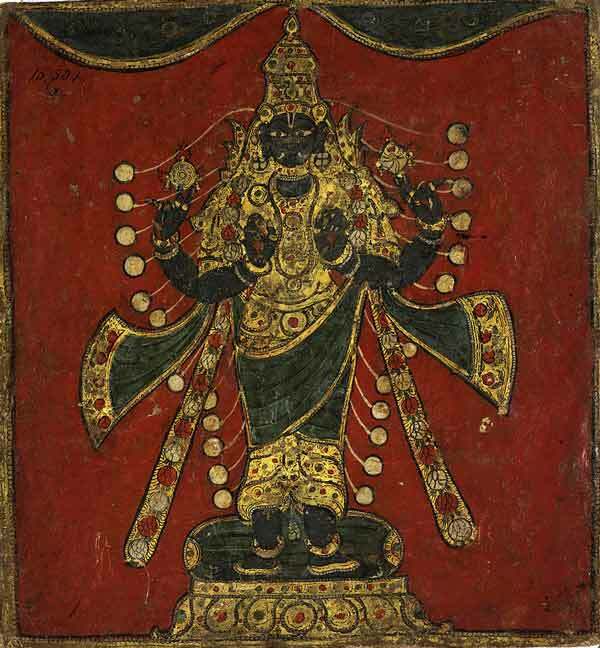 A Hindu Tantric Painting. India, Pahari, circa 1780-1800.
surrounded by a dark blue floral border with gold painted scrollwork. Thus, even though spontaneous creation of complex forms is still an issue of discussion, there is a very fertile ground for research of the basic component elements with which they are created and the successive manifestation of these elements. Not only that, but according to the Vedas, our universe (which is one of an infinite number of material universes within the vaster expanse of the spiritual worlds) is encapsulated by concentric regions made up of successive material elements that isolate us from the other universes. This concept of multiple universes and possible tests to infer their existence have been studied and classified by several physicists like Max Tegmark and Brian Greene. Regarding the discussion on spontaneous complex forms, one may begin to explore it seeing the gradual creation of basic elements as a painter preparing his canvas and paints and the spontaneous creation of complex forms as the elaborate painting itself coming into being, not gradually like the paints and canvas, but directly from the painter’s design. From the conclusions of the CERN meeting in 2012, there is much work to be done translating between the languages of science and religion. As we have briefly seen, the Vedic literatures offer amazing avenues for research in science and a broader understanding in religion. Further studies into the matter using the Vedic view may not only prove fruitful in the attenuation of the conflict between the two fields of knowledge, but also in the development of a scientific understanding of the process of self-realization (viz. finding out who we really are), which is the ultimate aim of both. Mauricio Garrido graduated from the Universidad de los Andes, Colombia with a B.S. in Electrical Engineering and in Physics. He received his M.A. and Ph.D. in Physics from Ohio University. During this time, he interned at NASA Goddard Space Flight Center in Greenbelt, MD. He later went on to Columbia University in the City of New York as a postdoctoral research scientist. In 2006, he began exploring the teachings of Bhakti yoga in Gaudiya Vaishnavism and in 2011, he entered the monastic order at The Bhakti Center, located in New York City, where he later became ordained as a priest and monk. There he teaches classes on Kobayashi Shorin-ryu Karate and Hindu sacred texts. He also leads meditation sessions at Columbia University. As of 2014 he became a research associate of the Bhaktivedanta Institute of Gainesville, for which he has developed courses on Bhakti and Physics and travelled lecturing in universities and international conferences. His current research interests are on Puranic cosmology and cosmography, Hindu philosophies, quantum field theories, general relativity, quantum information theory, consciousness studies, and philosophy of mind.